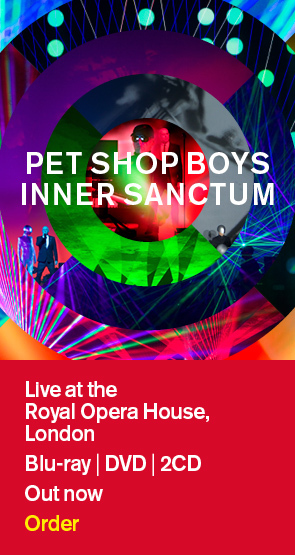 On August 6th, the new Pet Shop Boys single, "Winner" will be released digitally and on CD. The track-listing for the first digital bundle and the CD is as follows: 1. Winner 2. A certain "Je ne sais quoi" 3. The way through the woods (long version) 4. I started a joke 'A certain "Je ne sais quoi"' was originally written and recorded in 2007 and recently reworked by Chris and Neil. 'The way through the woods' was recorded in Los Angeles during the 'Elysium' sessions but Neil and Chris did more work on it subsequently, creating a much longer version. It is a setting of a poem by Rudyard Kipling and, like 'Winner', features an orchestral arrangement by Joachim Horsley, Andrew Dawson and Ben Leathers. 'I started a joke' is a cover of a Bee Gees song from the 60s and is intended as a tribute to the late Robin Gibb. All three bonus tracks have been mixed by Bob Kraushaar. A second digital bundle will contain remixes of 'Winner', including mixes by John Dahlback and Niki And The Dove.